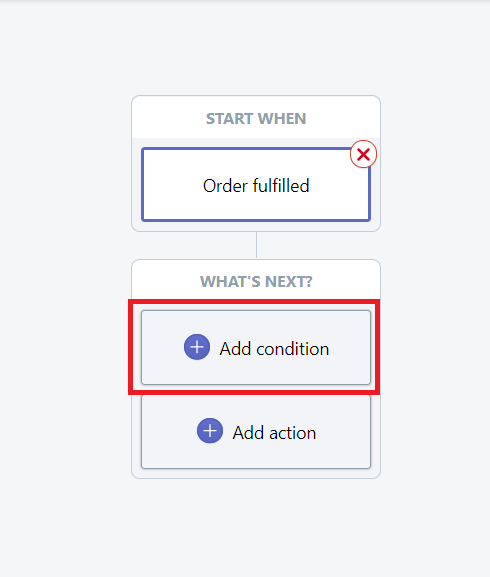 Set up automated push notifications with Shopify Flow to update customers when their order has been delivered. Another quick update that can enhance your customer’s experience with your store is to send a push notification updating them about their order delivery. 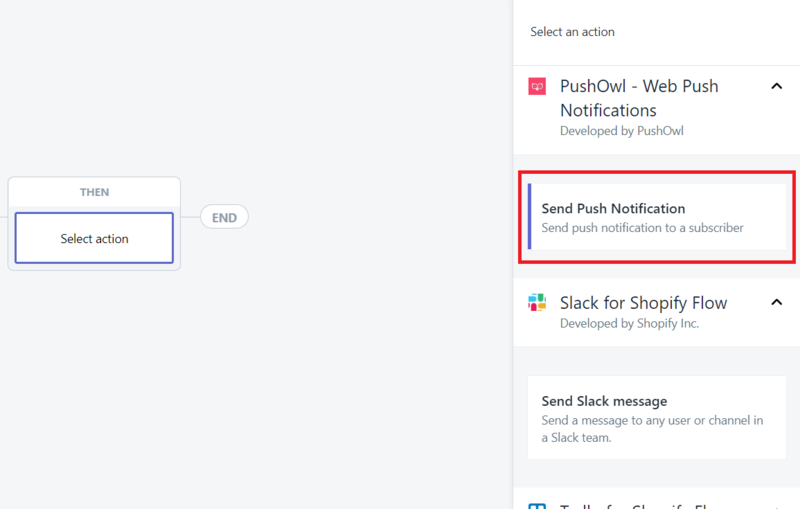 Use Shopify Flow to set up this automated push notification. 5. 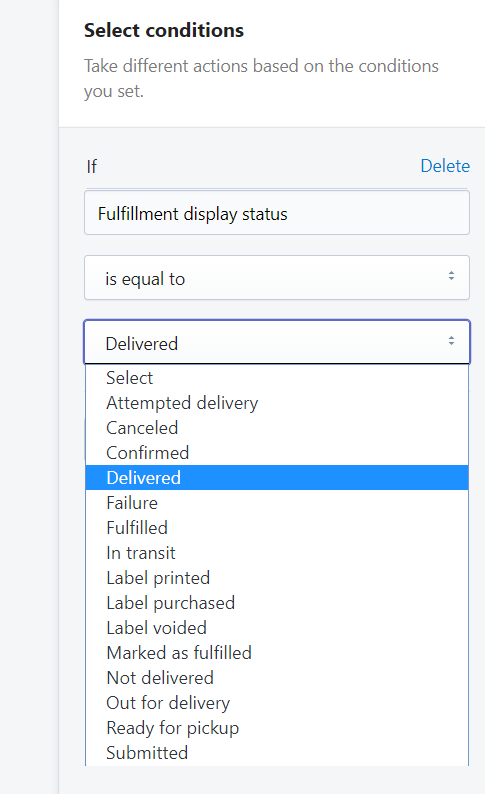 Click on ‘Display Status’ from the first dropdown. 6. 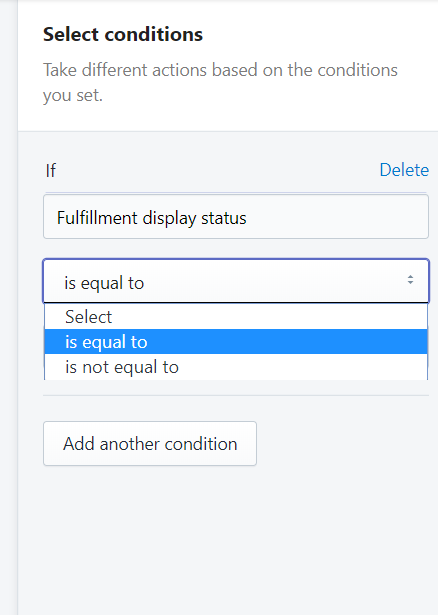 Select ‘is equal to’ from the second dropdown. 7. 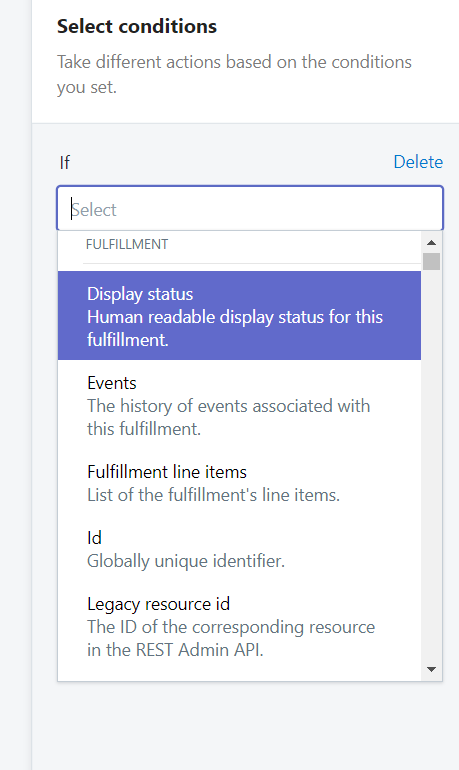 Select ‘Delivered’ from the third dropdown. 9. A sidebar will appear on the right. Scroll down to find ‘Send Push Notification’. 10. Fill in the fields as mentioned below or customize it according to your needs. Primary Link: Select ‘Add Template Variable’ and click on ‘Url’ to take customers back to the store. 11. Click ‘Save’ once you’re done. 12. Name the workflow ‘Order Delivered Push’ and click ‘ Save’. 13. Click on the switch at the top right to enable the automation.